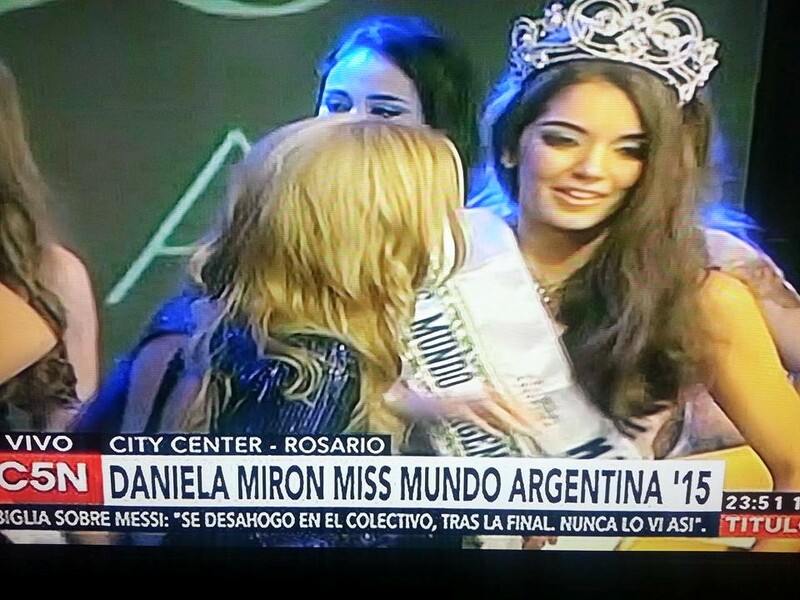 Miss Mendoza, Daniela Miron (22), was crowned Miss World Argentina 2015 last night. She will represent her country at the next Miss World Pageant on December 19 in Sanya, China. 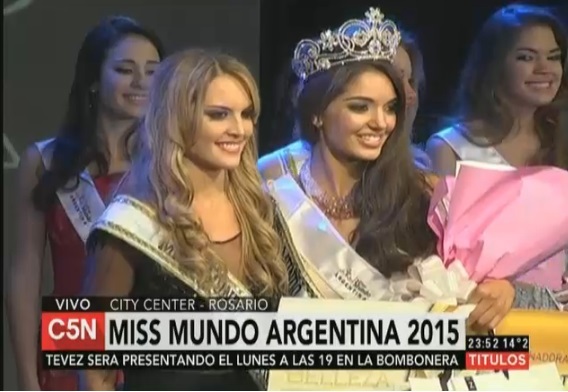 The first runner-up was Miss Cordoba, Helena Zuiani, while the second runner-up was Miss Tucuman, Priscilla Carello. Miss Formosa, Lorena Caceres, Miss Buenos Aires, Guiliana Chiappa, and Miss La Rioja, Ayelen Nahir Carrizo, completed the top 6. Interesting choice. She looks quite pretty. I would like to see more of her.